Liverpool’s own psych-pop masters are the latest subjects to Getintothis‘ 13 Questions and tell us about views of reflected machinery, playing in Scunthorpe and fighting dragons. The Peach Fuzz have been busy of late. The last we saw of them was at Liverpool’s Olympia, playing with The Zutons. Holding their own against local heroes can’t have been easy, but they managed it with style. 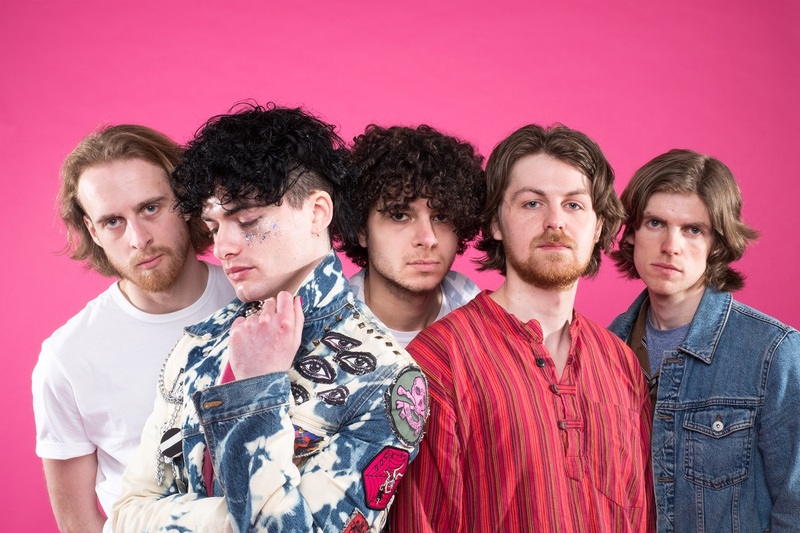 The Liverpool based five-piece are everything you want in a psych-pop band, they look great, they sound far out and they have a stage presence that ensures they come across as serious contenders. Getintothis sat singer Nathaniel Cummings down to see what has been going on in their world lately. 4. When was the last time you shouted at the TV? 5. When did you last laugh until you cried? 6. When did you last get into an argument? 7. What is your favourite view?